Does your building need a new or updated Fire Pump Installation? Sprinklermatic Fire Protection Systems can Help with your Fire Pump Installation Needs! Sprinklermatic has performed fire pump installation throughout Florida since 1987. We have performed countless retrofit installations. We also offer inspection and testing of fire pumps. Call us today at 954-327-3686. 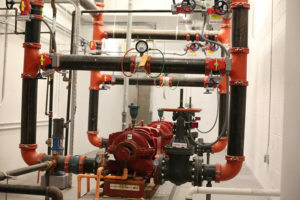 All our installations and repairs follow the NFPA 20 Standards and city requirements. 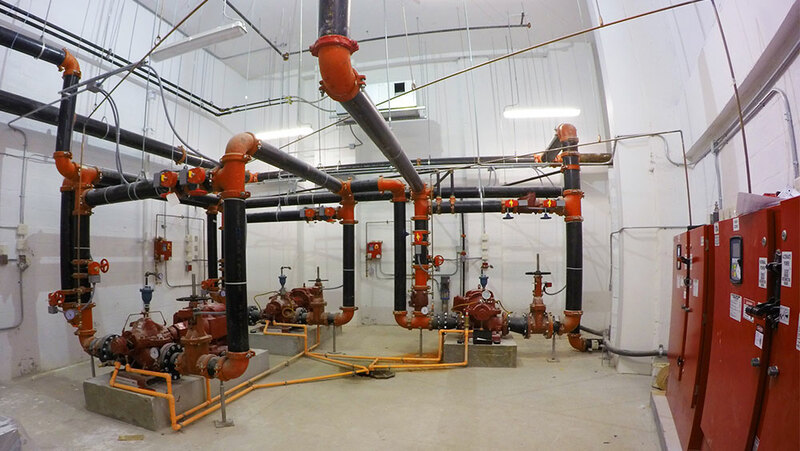 When a municipal water system can’t provide enough pressure to a fire protection system, we install fire pumps. At Sprinklermatic, we know the importance of the fire pump in protecting your building and everything in it in event of a fire. In commercial and residential buildings, proper fire pump service ensures that occupants and valuables are protected in the event of fire. At Sprinklermatic, we keep your building safe and code compliant with a comprehensive list of fire pump services. Ask to see references from our clients and learn why we are a perfect fit for all of your fire pump needs. Trust Sprinklermatic for your fire pump installation needs or retrofitting your fire pumps.